I'm pretty okay with Infinite Warfare heading out to space, but it appears plenty aren't. Reports this week pointed out that the recent reveal is the most disliked COD trailer so far. Normally? Big whoop. Finding dislike and hatred on YouTube is like things falling down when you drop them - what were you expecting to happen? 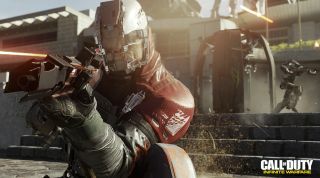 However, the issue was raised in a recent Activision investor call when someone asked CEO Eric Hirshberg about it. Questioned about the thumbs, Hirshberg responded by saying “you gotta love the passion” pointing out that “there aren't many entertainment franchises that can generate the kind of passion that Call of Duty can, and that's a good thing”. He also mentioned that it’s not the first time fans have been upset, pointing out that “the reveal trailer for Black Ops 2, which took the franchise into the future for the first time, had the most dislikes of any reveal trailer we had ever made at that time. And that went on to become our most successful game ever”. I would not be at all surprised if Infinite Warfare went on to do something similar. The thing is here that the likes are actually a new high for the series as well, but that obviously doesn’t make such a clickable headline. Plus, when you break down the numbers, that ‘highest dislikes ever’ barely accounts for 5% of the total views. Nearly 10 million people have watched that trailer and 95% have expressed no firm opinion one way of the other.